In 1789, Ludwig van Beethoven was in Bonn playing viola in Mozart’s revolutionary opera The Marriage of Figaro, where Beaumarchais’ working-class hero turns the tables on the Count and his droit de seigneur. That same summer, William Wordsworth was even closer to revolution – he was actually in Paris. 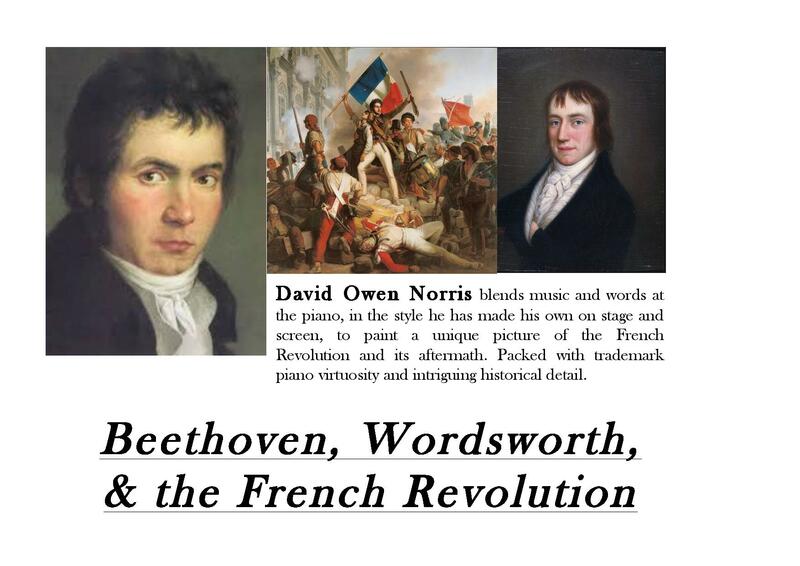 Beethoven and Wordsworth, both born in 1770, were both at first enchanted by the French Revolution; and later both men arrived at the same disappointment, famously expressed by Beethoven’s furious deletion of Napoleon’s name from the title page of his Eroica symphony. Wordsworth’s political poems, like ‘I grieved for Bonaparté’, ‘Milton! thou shouldst be living at this hour’, ‘After Visiting the Field of Waterloo’ – one of the great memorials to the Pity of War – and many more, and his moving meditations on his journey to France in 1802 to visit the daughter he had never seen, complement the music that the revolution inspired in Beethoven, each artist illuminating the other. The concert includes intriguing stories spawned by the French Wars – in 1809, for instance, as Napoleon bombarded Vienna, Beethoven cowered in his brother’s cellar, pillows over his ears to save his hearing; Schubert, a 12-year-old choirboy, ran around the city ramparts picking up hand-grenades and throwing them back at the enemy, until the Emperor passed a special law to forbid it; and Haydn rose from his death-bed to defy the French by playing his own Emperor’s Hymn. The music of Mozart, Haydn and Schubert features in the concert, along with Beethoven’s most iconic revolutionary compositions. Get in touch to book this unique programme! 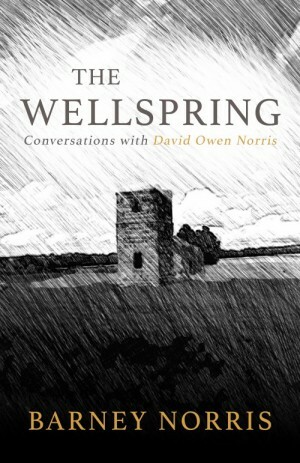 The latest book by Barney Norris, The Wellspring, is all about my own compositions. We launched it at the Hay Festival last year. The book’s cover shows the church and henge at Knowlton – see HengeMusic. 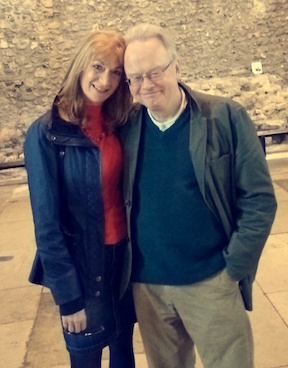 You might like to see me setting out the dilemmas of Historically Informed Performance (HIP) back in 1990 with David Wilson-Johnson. Eerily still relevant. Enjoy it! And you might like to see my films for the LSO: Elgar’s Enigma 1, Elgar’s Enigma 2, and Schumann. If you’re a promoter looking for something different, please get in touch. Caroline and I thank you for your visit!